ایچ موف, جیمز, دونت, نایجل. (1391). منظره‌سازی در مجموعه ورزشی؛ طرح کاشت اکولوژیک در پارک المپیک 2012 لندن. مجله علمی-ترویجی منظر, 4(18), 14-19. جیمز ایچ موف; نایجل دونت. "منظره‌سازی در مجموعه ورزشی؛ طرح کاشت اکولوژیک در پارک المپیک 2012 لندن". 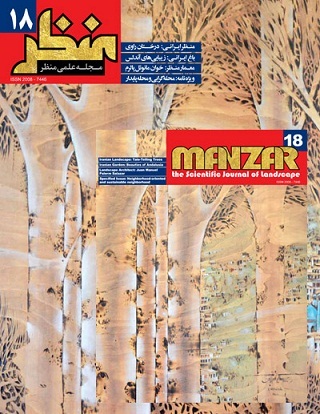 مجله علمی-ترویجی منظر, 4, 18, 1391, 14-19. ایچ موف, جیمز, دونت, نایجل. (1391). 'منظره‌سازی در مجموعه ورزشی؛ طرح کاشت اکولوژیک در پارک المپیک 2012 لندن', مجله علمی-ترویجی منظر, 4(18), pp. 14-19. ایچ موف, جیمز, دونت, نایجل. منظره‌سازی در مجموعه ورزشی؛ طرح کاشت اکولوژیک در پارک المپیک 2012 لندن. مجله علمی-ترویجی منظر, 1391; 4(18): 14-19. پارک المپیک در شهر لندن برای میزبانی بازی‌های المپیک 2012 طراحی شد. رویکرد این پروژه بر اساس کاشت اکولوژیکی پایدار، استفاده از گیاهان بومی و غیر بومی است؛ گیاهانی که با محیط سازگار بوده و متجاوز نباشند. پارک المپیک بر خاک پساصنعتی بسیار آلوده‌ای شامل نخاله‌های ساختمانی و فضولات سبز تبدیل شده به کود، ساخته شد. دو قسمت اصلی این مجموعه، پارک شمالی و جنوبی است. در پارک شمالی هدف، ایجاد تنوع زیستی مانند تالاب‌های بومی و چمنزارهاست و پارک جنوبی با رویکرد فرهنگی ساخته شد. برای طراحی این قسمت از پارک از چهار منطقه جهان شامل اروپای غربی، آمریکای شمالی، نیمکره جنوبی و به خصوص آفریقا و آسیای میانه و چین گیاهانی آورده شد. The London Olympic park is, at 250ha, the largest new urban park in Britain since the C19th, and has road tested the most sustainable approaches possible to the design, not just of the infrastructure necessary to host an Olympic games, but also future urban green space, both in Britain and internationally. A Master plan for the project was originally developed by a project team headed by EDAW. From 2008 on, a revised landscape Master plan was developed by the project team of the North American based Hargreaves and Associates and British based LDA (Landscape Design Associates). Our involvement was based on the growing reputation of our work (research and practice) into how to design, construct and manage more sustainable forms of urban green space, and in particular green space vegetation, that is potentially rich and meaningful to urban citizens, but at the same time provides valuable habitat for native biodiversity. Our work is essentially unique, in that it combines a strong philosophical underpinning that deals with aesthetic theory and the nature of beauty with cutting edge ecological science to unpick and understand how communities of plants can be designed, successfully created and then managed sustainably into perpetuity. Our approach to landscape and vegetation design differs significantly from some currently fashionable approaches, such as for example, landscape urbanism, in that whilst we see much meaning and beauty in nature, we recognize that in urban environments in particular, it is necessary, for ordinary people to fully appreciate nature, to integrate cultural with ecological notions. Since the Olympic park was based on heavily contaminated post-industrial soil, that had to be extensively treated to remove-nullify organic and inorganic toxins, there was no conventional soil on site to use. Originally we had anticipated that the soil would be a mix of crushed building and composted green waste, to utilize the very large amounts of waste crushed building from site clearance. The Olympic park is comprised of a number of component parts of which the North Park and South Park are the two largest, and most distinctive. A critical factor in gaining planning permission for the London Olympics (in Britain, government projects are subject to the same planning permission process as are all other developments) was the principle of increasingly onsite native biodiversity. Much of this biodiversity based planting was located in the North Park. South park is the more cultural hub of the park and as such contains fewer areas of meadow and very large areas of concourse. There are however some areas of native wildflower meadow, plus large areas of annual wildflower meadows wrapping around the stadium, interspersed with close-planted clumps of birch trees to provide extraordinarily vivid experiences during the Games period. Olympic park combines dramatic topography with large areas of dramatic ecologically founded vegetation. We hope that the world`s media, visitors and television viewers will be as enthusiastic about it as the teams who have collaborated to bring this landscape into being.